The Mega School Students’ Meet & Open House has come back alive with exciting events and lucrative prize offers. The carnival and open house will be organized on October 27, 2018, between 8.30AM – 5.30PM at Karunya Institute of Technology and Sciences (Deemed to be University). Why every student should take part in it? The event is primarily aimed to equip and motivate the students to contribute to their society and nation in their best possible way, thereby invoking in them an unquenchable thirst to find solutions to human problems. Students, especially in their transition phase from being a mere learner to a leader have to be adequately groomed so that, the world does not miss out on a revolutionary trend-setter. Are you looking for fun in learning? The event hopes to unleash tremendous amounts of fun and frolic in the process of acquiring knowledge and to infuse the students’ spirits with visionary ideas. While you are engaged in this process of fun-filled learning, you are sure to carve an interesting and creative career path benefiting the real ‘YOU’. In accordance with the Govt. of India’s vision to equip its citizens with all possibilities to thrive in this internet-dominated world, the theme of this event - Science & Technology and its Contribution to Digital India is meticulously selected. The 11th and 12th standard students have a critical role to play in selecting their career, and in transforming the face of today’s India. While participating in this science expo, they’ll be able to meet their contemporaries and feed their intellect, by witnessing the wide spectrum of creativity, idea, invention, and innovation present in their projects. They’d also be in an environment which motivates them to aim higher and succeed in life. The projects also enable the budding engineers, doctors, lawmakers, scientists and academicians of tomorrow to praise and appreciate the role of Science and Technology in alleviating people and solving their problems. 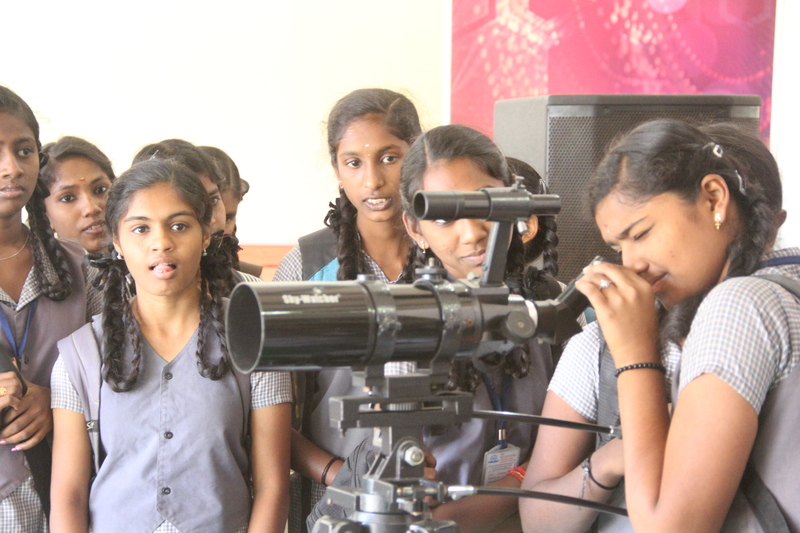 Every student who is a part of the expo is sure to gain valuable insights and intellectual understanding since this fosters the real spirit of scientific temper in him/her; thereby elevating the whole youth community. 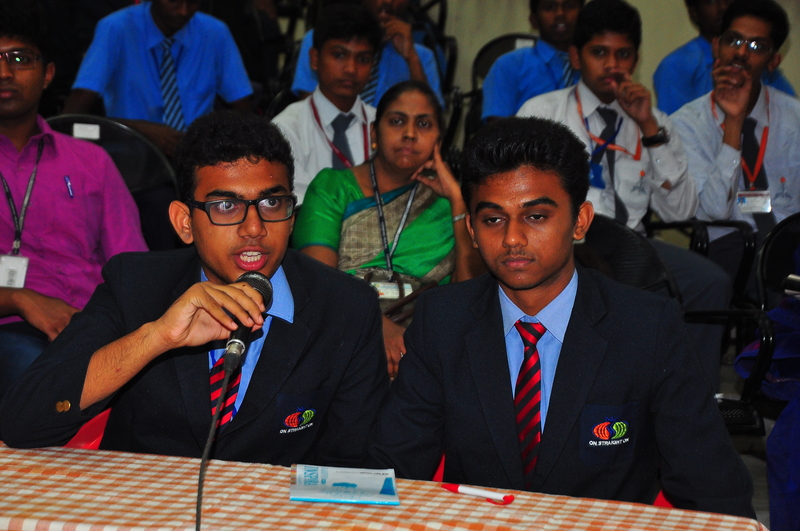 The Karunya Inspira is a South India Level General Knowledge Quiz Competition which operates behind the adage that knowledge is a never-ending ocean; and that the deeper a student delves into its depths, the more he’ll be passionate to explore further. 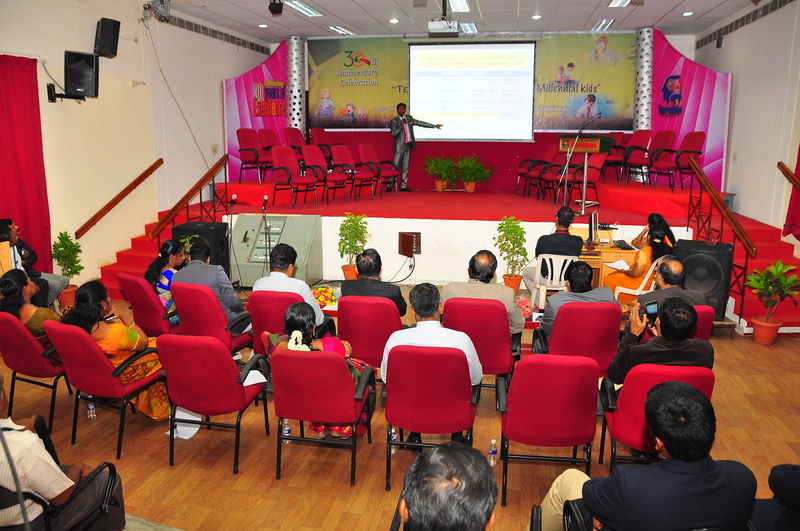 As we all know that this is the era of knowledge explosion and as mankind has made great strides in development, speeding from basic science to technology, from technology to innovation, from innovation to Artificial Intelligence, the world of knowledge is always evergreen with rampant growth. This event is an opportunity for students to engage their time and utilize their resources to feed upon the essence of knowledge’s fruitful splendor. Just as the spring of knowledge gushes out in response to an intruder’s constant provoking, by utilizing this golden opportunity, students will be able to witness a spark of knowledge igniting their intellect to solve humanity ‘s problems. They will also readily aim to become walking encyclopedias not only radiating knowledge but also transforming the world. The quiz carves them to be a beacon protruding from the lighthouse of knowledge and exposure. It enables them with the required courage and confidence to identify the problems prevalent in the society and address them efficiently through their knowledge. We encourage every participant to groom themselves for this event, so that they may become tomorrow’s leaders and visionaries. Teachers have a great mission to accomplish as the students of this generation are constantly on a look-out for a role model for their motivation. Every teacher has to be a real source of inspiration, in order to activate the right kind of enthusiasm in their students. If the youth are the pillars of the nation, then teachers are the base of the nation. 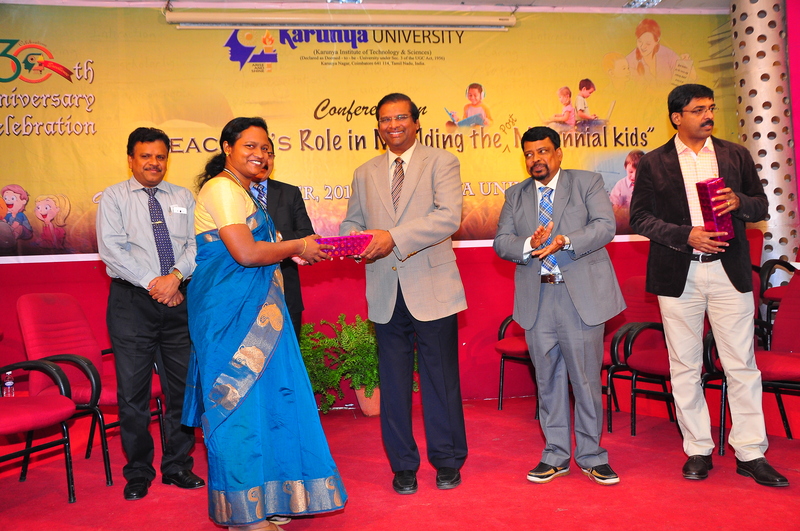 Since, it is a well-known fact that a little knowledge is a dangerous thing, teachers should prove to be a backbone of integrity, humaneness and compassion to set the students on the right track, constantly instructing them to utilize their education for peaceful and constructive processes, or else the same knowledge which lights up a student would turn destructive to him and to the society at large. They need to instill values in their students, by their style & approach of teaching and instruction. This seminar is certainly a unique event, unlike any other seminar which is aimed at touching the students’ minds alone, without impacting their hearts. Teachers can understand a lot of ways and methodologies through which they can raise competent individuals who study and work, with values deeply embedded in their hearts. 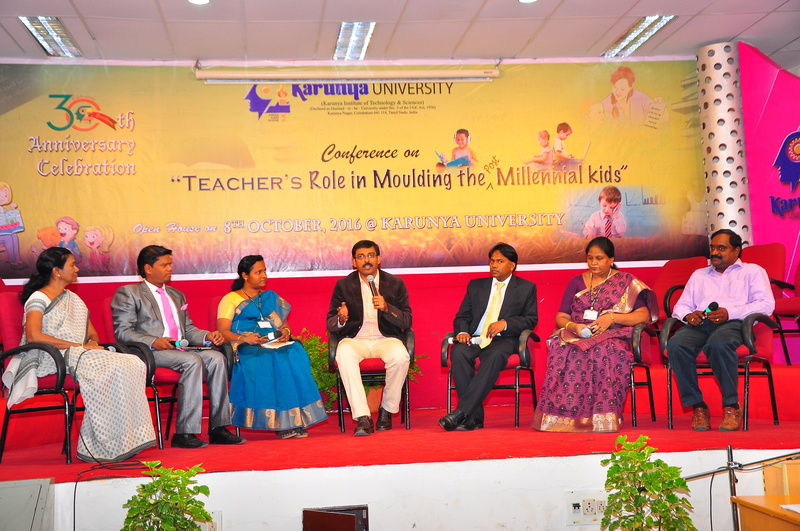 The special conference for teachers titled, ‘Role of Teachers in Value Addition’ is sure to be an Eye Opener for all dedicated teachers who deeply hope for the betterment of their students. Students of class 11 and 12 have to really take care that they make the best decision in their life; as their choice of stream is going to be the deciding factor of their career. All their expertise is going to be influenced by how rightly they invest in their career selection process. Excluding conventional career choices, students don't have awareness of courses which are in sync with their inherent desires and aspirations. To provide a solution to the buzzing question in their heads, "What Next? ", this event is being organized. At the end of the session, there is also a question & answer session for the students which are effectual in clearing all their doubts concerning their career choice. Nowadays, there are fascinating and modern fields of study which have never been previously trodden. So, students should never miss this wonderful opportunity provided to them, as they will be greatly benefited by listening to expert career consultants. A special campus tour is arranged for all the students taking part in the Mega Students’ Carnival & Open House 2018. This will provide them immense motivation to study and excel in their studies and gives them a foretaste of what higher education is all about. The lab facilities and the excellent infrastructure available in the campus are indeed great assets to the students as their environment is carved to bring about the proliferation of research and innovation in their formal education. The visit to high-tech labs enables the students to get a glimpse of their future phase of a college education. Karunya has state-of-the-art infrastructure, together with world-class lab facilities, sports facilities, library and lab facilities. So, never miss partaking in this awesome campus tour.